As WA’s local natural gas provider, Kleenheat was pumped to throw its support behind our own Perth Wildcats for a thrilling 2018/19 NBL season. Our partnership with the Wildcats meant adding a little red to our wardrobe and standing proudly alongside the red army, bringing plenty of energy and awesome surprises to home games at RAC Arena. It was an exciting season to be a part of, with the Wildcats starting off strong, racking up win after win at the start of the season. They may have lost a little steam in the middle but they fired up and made it to their 33rd consecutive finals – a stunning achievement for our local WA team! Game 4 of the finals saw them turning up the heat and they easily claimed the championships for the ninth time with a 97-84 win over Melbourne United! But it wasn’t just the Wildcats who brought the action this season – we brought a little fun and entertainment of our own to the home games at RAC Arena. 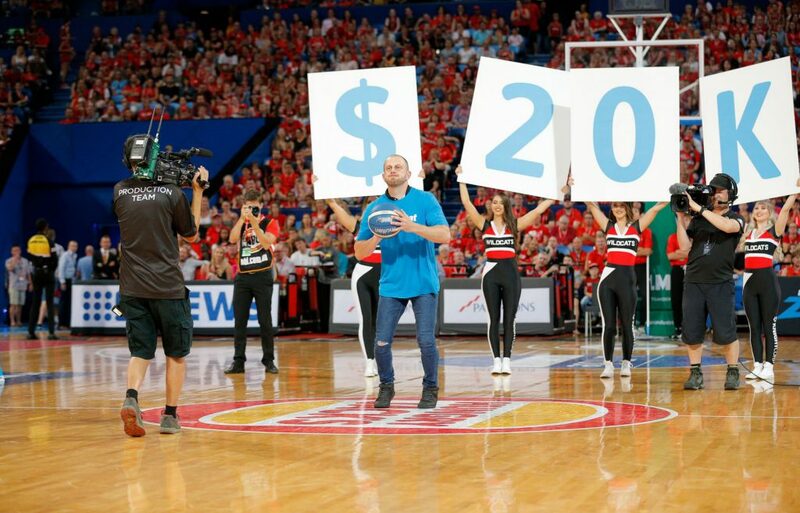 As partners of the Perth Wildcats for the 2018/19 season, we gave Wildcats fans a chance to win court-side seats for them and three friends and a chance to shoot for $20,000! Making the half-court shot proved to be harder than it looked though and while many got close, the $20,000 went unclaimed this season. All up, 68 people enjoyed a court-side experience complete with a food and beverage package and walked away with consolation prizes that included an Xbox, Dr Dre headphones, PlayStation, Fitbits and more! Kleenheat was proud to support an organisation that makes such a positive influence in the WA community and congratulate the Perth Wildcats on their stunning win!